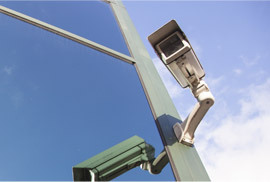 For many businesses in Tempe, comprehensive IT network support and CCTV installation services are a genuine lifesaver. One of the most basic, yet most essential elements components of your business hinges on the dependability of the computer network. When the network goes down for an extended period of time, not only does employee productivity exponentially decrease, morale drops as well. 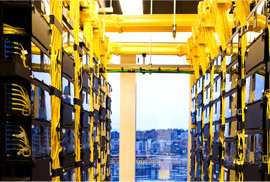 Our experienced team of computer network cabling contractors at San Tan Communications, LLC works diligently to deliver on-site or remote support to make certain that these problems will never hinder your business's success. Another fundamental factor that can hold back your company is the building's overall security. Subpar security can spell disaster for businesses of every shape and size as business owners cannot take proactive steps to counter shoplifting, criminal trespassing, employee theft, or other problems. Our CCTV security systems and commercial video surveillance installations can reduce suspicious activity and deter would-be thieves from stealing stock or other items. We have experience with security camera wiring and the installation of many different types of commercial indoor and outdoor CCTV surveillance systems. When computer and/or network problems start to plague your business, or you feel that your company needs a security boost, our knowledgeable Tempe IT network support and CCTV installation team are standing by to assist! We use only the highest quality products and tools, and we work diligently to ensure complete customer satisfaction. 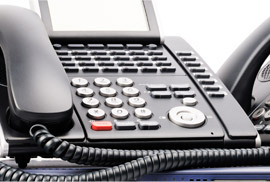 For almost ten years, San Tan Communications, LLC has provided design, installation, troubleshooting, repair, and maintenance services for businesses in the Phoenix metro area, including Scottsdale and Tempe. If you require IT network support and CCTV surveillance system installation services, we offer affordable resources to identify and solve your business's computer and security problems. Please call 480-655-6119 or contact us online today if you would like further details.